Pretty Things: Love my Mum! Mum found this book with two dolls that she made us as kids. 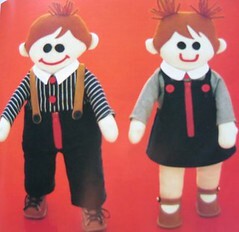 They are called learning dolls and they have buttons and zippers and various articles of clothing with the aim of teaching children how to dress themselves. She made them for us and we absolutely loved them. They are very cute. Mum is still looking for them - she's not sure where they've gotten to. Anyways, I've just spent the past hour (I'm slow!) photocopying and enlarging the doll patterns so that I can make a set of them as well. 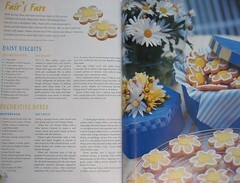 I love that Mum is able to share these patterns and craft books with me. Its amazing to go back over what she has done in the past and recreate some of it for my daughter. Here are some pics which are faves from the magazines and books. Oh I should have read further! I HAVE that book! It's the best (I have made a few things from it over the years - got it when I was 15). Now I HAVE to make Austy a learning doll - it has been on my wish list for a while. It is a great book! - we've made a few things from it over the years as well. 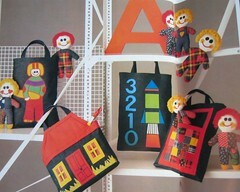 I will be keen to see your doll! Hopefully mine is not too much longer although must admit that it is pretty fiddly and so many trips to the shop to buy notions.